When you first look at a house and decide make an offer you are too busy concentrating on whether or not it checks off all of your must haves to take a thorough look. You fall in love with the size of the living room, kitchen, & paint colors. You're not thinking with your brain your thinking with your heart. It has everything you could ever dream of its perfect right ? Now that your offer has been accepted and you are officially UNDER CONTRACT or ESCROW as it's referred to in some states it's time to get back down to reality. It's time to look at the house with what I call a fine toothed comb. It's time for you to have your home inspection. 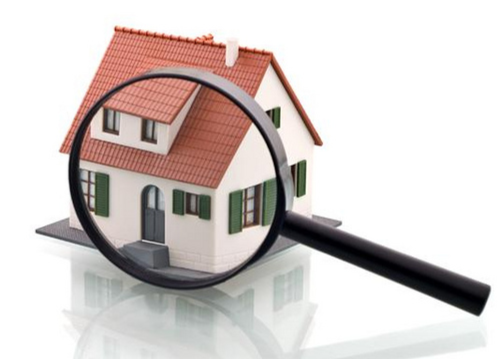 A common misconception I want to address is that many times banks refer to the appraiser's visit as an inspection, and in a sense it is an inspection of sorts, but it does not replace the need for you to conduct your own independent inspection. The appraiser is going to look at the big ticket items(roof, siding,etc, as well as the condition requirements for the loan that you are getting. They will also look at the quality of construction and updates as they compare to similar homes recently sold or active. They are not going to want you to be there and likely will not answer your questions during their inspection. Now back to inspections. The first thing you will have to decide is whether you want to do the inspection yourself, have a friend or family member, or have a certified inspector conduct the inspection. Who you decide to go with is completely up to you. What I will recommend however, is that whoever you choose it's someone that is knowledgeable on construction, electrical, and plumbing practices. Now that's not to say that they have to be licensed in any of those just that they hopefully know enough to spot potential danger signs such as an overloaded breaker box, foundation issues, or incorrectly installed plumbing. If you need help finding an inspector your agent can provide you with a list of inspectors but remember this is never an absolute list because you can choose whoever you want for your inspection. Whoever you decide please always make sure you have an inspection. The last thing you want it is to not do an inspection and discover a leak in the basement a week after closing that likely would have been discovered during a home inspection. It's important that you attend the home inspection if at all possible. After all it will be your house for at least the next 30 years, you want be sure you are fully aware of what your getting yourself into. This is your opportunity to ask any questions you may have about the house. Make sure you know if there are any leaks or any deferred maintenance items that should be addressed. Ensure that the air conditioning, heating, electrical and plumbing components are all in good working condition. If it is discovered that they are not this is your opportunity to decide if you want to fix them yourself, ask the seller to fix any deficiencies found or decide not to move forward with your purchase. Your agent can help you decide what the best option would be for you. Remember, you will almost always find something wrong with the house regardless of age. Even a new built home will not be completely perfect so take your time with the inspection and when it comes time to ask the seller to fix items decide what your "deal breakers" are. What are the items that unless they get fixed your will walk away from the purchase? There are no right or wrong answers here because everyone has their own things that are important to them. At the end of the day what matters is that you are comfortable with your home and that you will be able to live there for many years to come.